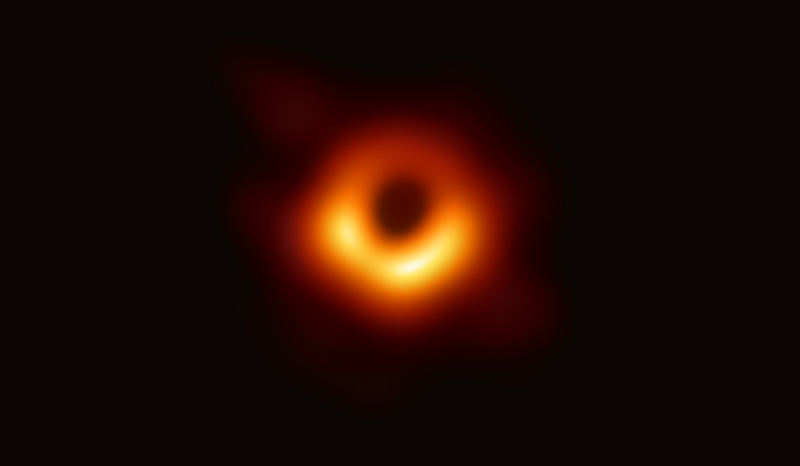 first ever picture of a black hole, taken by the Event Horizon telescope. 6.5 billion times larger than our sun. And, btw, this also a picture of the telescope’s namesake.